Who better than a guest who has stayed can recommend a hotel or not? Listening to the opinions and reviews of our guests on the Hotel and on the Restaurant is the first tool for measuring customer satisfaction and a source of continuous improvement. Therefore, we would like you to share your opinion when you leave the hotel. 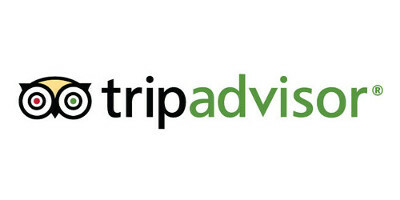 We invite you to leave your review on TripAdvisor and other portals. Las vistas hermosas! Un hotel dedicado al arte !!! One of the best place in Spoleto. Unfortunately the walls are thin ehich is not too comfortable. The breakfast monotenous. But everybody helpful and kind. A very beautiful hotel in a very beautiful town. Perfect for lovers of modern art as the hotel is full of it. A good breakfast, free parking and well appointed, On the edge of town so a little way to walk. Two areas for improvement. Art hotel with a different vibe, easy parking and 10 minute walk to town. Spacious room and bathroom, well cared for by cleaning staff, who happily weren’t knocking at the door at the crack of dawn. Working at the wonderful Teatro Nuovo in the Festival, as we were, meant that we had late nights, so that was appreciated……. Other food was plentiful……. My younger colleagues absolutely loved the pool and sunbathing area. In our short stay we were very satisfied with the rooms, the staff and the food. This was a fabulous find. Modern facilities with interesting artwork sprinkled throughout the halls and lobby. The bed was comfortable, bathroom was large and well-appointed. I had a nice little patio, and there were great views. Downtown is only about a 10 minute walk down a tree-lined street next to a park. Breakfast was ample and tasty. The staff were great — when I was told that no cabs were available to get me to the train on time (traveler’s tip: cabs in Spoleto apparently don’t run before 7 am, so keep this in mind when making plans for the next phase of your journey), the front desk clerk drove me to the train station himself. Above and beyond. There’s a lovely Romanesque church (San Pietro) just up the hill from the hotel; great restaurants and historical sites are about a 10-15 minute walk. Good value. Big rooms. Quiet inside with carpeted hallways. No air-conditioning till June 1( New Italian law) but did not need it anyway. Good breakfast included. 10 minute walk to town center. Hotel is like a contemporary art museum. Breakfast delicious. Within walking distances to elevators to moving sidewalks to make it easy to reach medieval part of town. In the alternative, the walk is beautiful past a lovely tree lined street with park on both sides. Easy walk from Hotel. Very nice hotel with big room with balcony. Very nice countryside near city center. Easy to find. All people of hotel and restaurant are gentle. Large room. Quiet area. Good service. Very nice art hotel. The rooms are cleaned and spacious. Nice parking garage. Very close, into walking distance, from the centre of Spoleto. Spoleto is a very, very nice place to visit. Highly reccommended! The City centre is easy to walk from the hotel. This was quick visit to Spoleto and the hotel met all our need very well. stayed at the Albornoz hotel for 3 nights during our two and a half week Italian road trip in June 2017, and I have to say we were pleasantly surprised. originally booked it because it was on the main train line to Rome, which we visited on one of the days, but we never realised what a little gem we had discovered in Spoleto. so much history that we never realised previously, we paid 9 euros for an all day ticket to visit all of the many different museums and roman houses that Spoleto has, and the scenery aswell was stunning. the hotel was very clean and very modern, and the staff very attentive and helpful. the car park was underneath the hotel and […] we managed to get the car parked ok. the food we ate there was very good and the staff on the front desk we very helpful indeed, all in all a very good find thank you everyone. This hotel is very nice and clean. The rooms are nice and big. […] .The staff are very nice. […] I chose this hotel because it said it was good for the disabled. We stayed here, with friends, in the first half of June, We really liked this quirky, cheerful hotel(…) We found the hotel staff very pleasant, cheerful and eager to help, particularly the front desk staff. The deluxe double room we had booked (8 months earlier) was kindly upgraded to a suite, and was vast – more shelf and wardrobe space and power points than we have had in any other hotel in Italy. It was perfect, an absolutely superb space, immaculately clean, both elegant and practical. The free car parking (once you know where it is) is ample and secure. And the location is arguably the best in Spoleto. Close enough to walk into the historical centre in fifteen minutes, (an easy, level walk), and yet less than 100 metres from the north-south SS3 highway. (The hotel is so sturdily constructed that despite facing onto the road, we experienced no noise either from the road or from the rooms next to us and above & below). And on top of all that, the hotel has real character -the art element is a distinctive differentiating feature. And it’s great value. We could have been given a room half the size of the one we had, and I would still have said that. Despite a few small imperfections, we found the Albornoz Palace a great base for exploring Spoleto on foot and Southern Umbria by car. We’d certainly stay there again, and hope that we will one day.